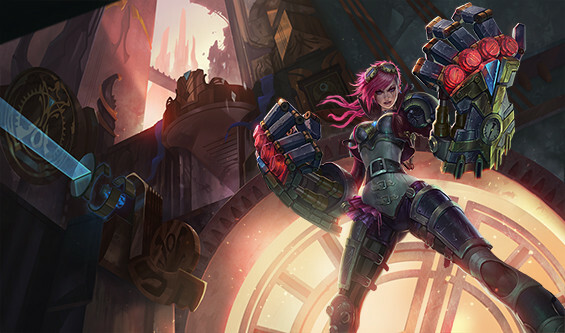 Vi, the Piltover Enforcer is the latest champion added to the roster of League of Legends champions. Riot says that "Vi's skillset is best suited to either the top lane or jungle and her ability to apply stacks of Denting Blows, push a lane with Vault Breaker or utilize Excessive Force for AoE damage, allow her to quickly clear a lane whilst applying pressure on opponents to finish off their minions". I’m pretty sure players will make good use of Vi's Assault and Battery ultimate since her ult makes her invulnerable to stuns, snares, fears etc. With an interesting combo of skills, top lane or jungle Vi is probably going to be very popular in the Field of Justice. I have yet to see her in action but I will soon I promise. Also, I’ll be doing a Season 3 Patch and its changes soon.